"I break out a lot," admits Jessica Alba—not that you&apos;d EVER be able to tell. The 37-year-old actress and Honest Company founder is known for her permanently flawless, dewy, spot-free skin, but in fact, she has struggled over the years with acne, dryness and sensitivity. "The acne I experience is usually related to hormones, or triggered by nutritional choices or lack of sleep, " Jessica revealed to Well+Good. 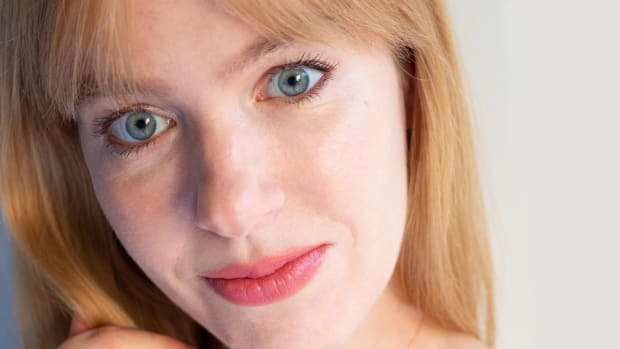 In an attempt to clear it, she has "tried it all—from toothpaste to cortisone injections and everything in between." "I feel like a lot of acne products out there would really strip my skin and were a little too harsh, frankly," she added in a Teen Vogue interview. "I&apos;d have to use them for a period of time and then couldn&apos;t use them anymore. They&apos;d over-dry my skin, and it was a vicious cycle. I have sensitive skin, and wanted something that I could use." Close-up of Jessica Alba&apos;s skin. Ready to see which products keep Jessica&apos;s complexion clear and glowing? Read on! Honest Beauty Refreshingly Clean Makeup Remover Wipes: "I like to use these before I go to the gym. I don&apos;t want to be a morning gym person, but I kind of feel like if I don&apos;t get it done in the morning, I&apos;ll never get it done." Honest Beauty Refreshingly Clean Gel Cleanser: "I&apos;ll put cleanser [on my cleansing brush]." Braun Face Epilator & Facial Cleansing Brush: "I love to prep my skin, especially when it&apos;s dry and flaky, with [this]. And because it&apos;s so tiny, it&apos;s easy to travel with. I&apos;ll just cleanse and I get a nice, smooth finish. I actually exfoliate every day to make sure my skin is clear and I have that healthy glow. A cleansing brush is fantastic for daily exfoliation." Honest Beauty Younger + Clearer Spot-On Remedy: "It&apos;s fast-acting. And [it &apos;s clear], so you&apos;re not walking around with pink dots all over your face. When I wake up with a pimple... if there&apos;s a whitehead, I&apos;ll extract it. I&apos;ll clean it properly and then I&apos;ll use some type of salicylic acid or alcohol to dry it up and let it breathe for a little bit and close up. I&apos;ve found that salicylic acid is the thing that consistently works for me." iS Clinical Active Serum: "I have a brilliant facialist called Shani Darden. She recommended [this] and said it would stop me getting wrinkles and breakouts. And she was right—I haven&apos;t broken out during this pregnancy and I&apos;ve noticed the fine lines starting to go away." Honest Beauty Everything Organic Facial Oil: "Then I put on the Organic Facial Oil. I love the texture of this oil because it&apos;s not heavy. I put it on every morning, and at night, when I&apos;m on the plane, I take my makeup off and I put this on. It actually just melts and blends right into your skin, whether you have foundation on or if you have concealer. You can wear it over makeup or under makeup. You can even mix it with your makeup if you want that barely-there bare skin look." La Roche-Posay Anthelios 50 Mineral Ultra Light Sunscreen Fluid: "For sunscreen, I like La Roche-Posay mineral sunscreen. The fluid, really thin one. They just kind of disappear and they&apos;re not too heavy. They&apos;re great under makeup." Honest Beauty Magic Balm: "It is magical. This is such a great product because you can put it on your lips, at the top of your cheekbones, and I like to put it down the bridge of my nose. And I&apos;ll even do a quick glossy lid with it." Honest Beauty Elevated Hydration Replenishing Mist: "I use a hydrating mist throughout the day to keep dewy." Honest Beauty Younger + Clearer Resurfacing Cleanser: "You put a couple of pumps on [the konjac sponge]. The best skin tip I ever received was definitely from my mom; she was really big on me taking my makeup off every day." Honest Beauty Refreshingly Clean Gentle Konjac Sponge: "I love the konjac sponge. What&apos;s so nice about this is it gently exfoliates." Amala Brightening Face Polish: "I love how clean and soft it makes my skin feel." Honest Beauty Younger + Clearer Clarifying Toner: "I really like it, especially when I work a lot or when I&apos;m having more breakouts—I do love to use a toner." Resurface by Shani Darden Retinol Reform: "I use Retinol Reform serum every night and think it makes my pores and dark spots look smaller while also making my skin all smooth and soft. It&apos;s the best because it doesn&apos;t overly-dry your skin, which is usually the case with retinol. 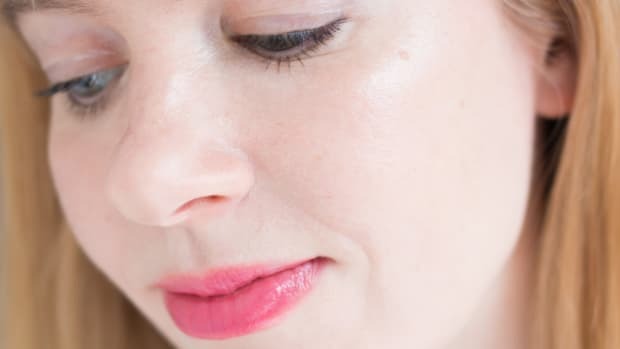 As I&apos;ve gotten older, I&apos;ve found that I don&apos;t have as many fine lines and wrinkles as someone my age might, and I definitely credit this to my consistent use of retinol over time." Honest Beauty Younger + Clearer Night Serum with Honestly Pure Retinol: "This retinol&apos;s also very gentle. A lot of retinols, they can be over-drying." Honest Beauty Younger Face Deep Hydration Cream: "This product is a necessary part of my routine." Honest Beauty Younger + Clearer Nourishing Lotion: "You can use this with the retinol, or you can use it on days that you don&apos;t want to use the retinol, if you want to skip a couple of days." Shani Darden: "Anytime I leave, it&apos;s weird, with her I look better. Because you know how sometimes you get facials, you like, look a little busted after? Go to Shani, you look better." Traci Martyn: "When I&apos;m in New York, I&apos;ll see Tracie Martyn for facials. She uses this zappy electric current thing that makes my skin feel really tight after. It&apos;s amazing." Opera LED Light Therapy Mask (similar to Déesse Pro LED Mask): "It&apos;s this new light mask that my facialist, Shani Darden, uses. She said that it&apos;s good and I trust her. I&apos;m lying there on the bed at the end of the facial, and she puts it on." 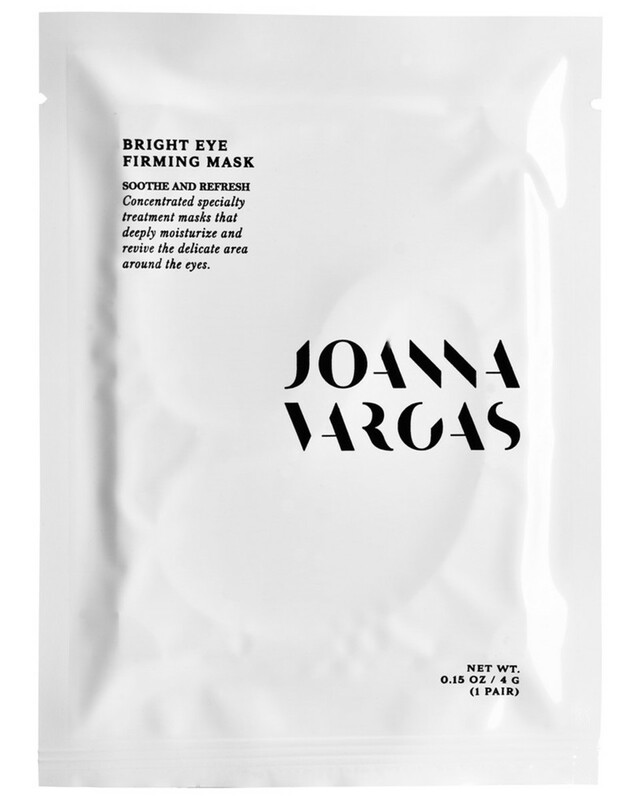 Joanna Vargas Bright Eye Firming Mask: "These are fantastic because they&apos;re so compact, and they&apos;re this jelly texture. They&apos;re very hydrating and they just feel really cooling and good underneath the eyes. You leave it on for 10 minutes and it really kind of penetrates. It takes down the appearance of crow&apos;s feet and just makes me feel more bright and awake. I&apos;ll even put this on when I&apos;m flying on the plane. The person next to me usually thinks I&apos;m crazy." Nurse Jamie Uplift Facial Massaging Beauty Roller: "This is a really fun new device that I got and what it does is it heats up and massages your skin. I go under [my chin] which is my favourite thing to do. It&apos;s just kind of giving your face a little workout." Summer Fridays Jet Lag Mask: "It feels great on the skin." Kelly LeVeque: "My go-to nutritional guru is Kelly LeVeque, so I always turn to her for advice." "I drink coconut water and I drink a ton of water. It&apos;s not just putting hydration on the [outside], it&apos;s also about the health of your skin inside. I think staying hydrated is really important... for glowing skin and high energy. [Dehydration] shows on the outside. As you get older, you really see it on your face." "I really think [clear skin] has to do with nutrition. Staying away from refined sugars as much as you can, and carbohydrates—going for more complex carbohydrates. Having a balanced diet, having as much fresh produce as possible. Not as much processed food. And really eliminating fried foods." "Sleeping and eating right is more important than you think. I didn&apos;t sleep at all in my 20s. I worked so much." SoulCycle: "I take Spin or hot yoga classes in the morning, and I sacrifice sleep to fit them in." Hot 8 Yoga: "[I do] Hot Power Flow Yoga, [which is like] bootcamp mixed with hot yoga, good fast-paced dance music, a little of everything." Gregg Miele: "If I work out four times, I consider it a successful week. But it&apos;s typically more like two to three days a week because that&apos;s what I have time for. Getting moving... blood circulation, movement, and exercise helps [give you a glow]." Headspace: "I like to listen to meditations. I did TM [transcendental meditation] but I find it&apos;s kind of tough to meditate on your own—for me—so I like Headspace. And you can do five-minute meditations, 10-minute mediations… and you can go to whatever it is you&apos;re dealing with. It&apos;s pretty dope." "I think it&apos;s true that you get better with age. It&apos;s weird, &apos;cause society tells women that you&apos;re at your peak when you&apos;re like 18! But when you&apos;re over 30 is when you really start to kind of get your feet underneath you. I&apos;m 36 now and I feel great. And I think in my 40s I&apos;m gonna be really dope. I&apos;m really looking forward to that." Thanks to Teen Vogue, People, Violet Grey, Yahoo, Cosmopolitan, PopSugar, Into the Gloss, Well+Good, Elle, Refinery29, InStyle, Health.com, Shape, Glamour, Byrdie, Dermstore and Entertainment Tonight. What do you think of Jessica&apos;s routine?